Tool changes in seconds, less machines on the worksite, higher production rates, more profit, and the right tool for the job, lower transport costs, no oil spill, improved safety with no people around the excavator when changing tools and no protected hose run. 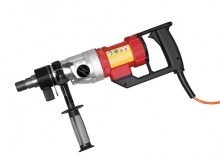 These are the major advantages when using a proper, fully hydraulic, automatic quick coupling system. 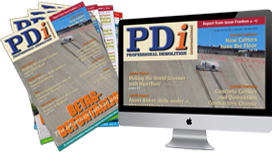 Here we outline the latest developments from suppliers in this year’s PDi feature on quick coupling systems for demolition excavators. Jan Hermansson reports. The new Cat App delivers simplified, streamlined data directly to mobile devices, helping customers monitor machine location and health, react faster to fault codes and maximise uptime. 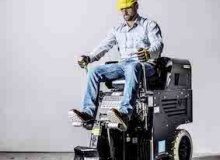 When purchasing a machine, surface preparation contractors must often see the bigger picture to avoid challenges after construction, with choices having to be made concerning the use of either propane and battery powered ride on floor strippers. 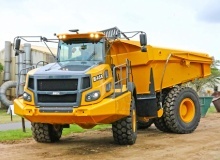 Stanley Infrastructure has launched what is said to be the industry’s first digital platform designed to increase operational efficiency and uptime of attachments with advanced telematics data. 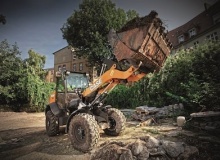 Hitachi has introduced a waste handling package for its ZW180-6 and ZW220-6 wheel loaders. 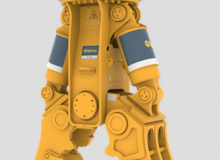 This comprises of a range of additional features that provide extra protection for the operator and key components, enhancing the safety and durability of the machine, and reducing unscheduled downtime and maintenance costs. 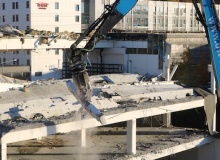 Demolition job sites are often bound by strict budgets, time schedules and regulation enforcement. However, ground penetrating radar (GPR) scanning can be a very important preparation and control measure to avoid unexpected damage and delays. PDi takes a look at a new and exciting development from Japan. 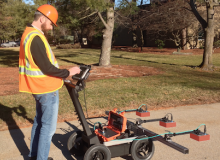 GSSI, the manufacturer of ground penetrating radar (GPR) equipment, has announced that its PaveScan RDM asphalt density assessment tool was featured at the Transportation Research Board (TRB) 98th annual meeting. 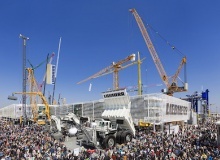 Visitors to bauma 2019 can look forward to seeing many new developments and practical innovations at Liebherr’s 14,000 m2 outdoor stand (809-813), and on its indoor stands located at hall A4, number 326, and hall B5, stand 439. 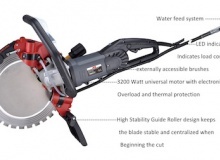 The last 12 months have seen many new interesting handheld tools from a wide variety of companies being launched. Here are some of the most prominent developments now entering the market. From its new location at stand FN 817, Case will focus on heritage and innovation at bauma 2019. This reflects Case’s approach to providing solutions for customers’ specific requirements, with visitors being able to experience an application based layout at the stand. 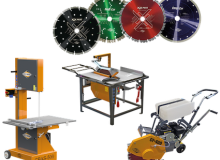 LaBounty, a brand of Stanley Infrastructure, has recently launched a new generation of mobile scrap shears. 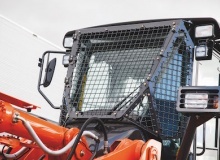 These feature a robust upgrade to the piercing tip, an advanced telematics platform, providing10% more cutting force and come with a three year warranty. The new Cat C13B leverages a proven, reliable core engine with over 109M off highway field hours. Combined with design improvements to create customer value, this enables OEMs to downsize their engine platforms, lower installation costs and maximise uptime. At bauma 2019, Case will showcase its new compact wheel loader models with electrohydraulic controls. With more than 20 sensors and 20 electrohydraulic actuators installed on the machine, this new technology will improve operator controllability, provide the option to select different operating modes and allow for combined movements. Volvo Construction Equipment (Volvo CE) has announced that in 2020 it will start the launch of an electric range of Volvo branded compact wheel loaders and compact excavators. Cedima GmbH will present a selection of products in Hall A1 at bauma 2019 under the slogan of ‘high speed innovation’. This will include the company’s expanded range of joint cutters based on new engine and exhaust technologies. 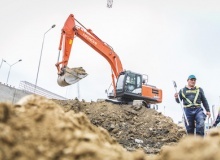 A Romanian construction firm has equipped its new ZX250LC-6 medium excavator with a Hitachi bucket and Genuine GET (ground engaging tools) to help improve productivity on a demanding project in the south of the country.